Dundee United have signed defender Conor Townsend from Hull City on a season-long loan. The 21-year-old arrives at Tannadice as part of deal that had full-back Andy Robertson moving to the KC Stadium for £2.85m. Townsend has previously had loan spells at Chesterfield, Grimsby Town and Carlisle United. 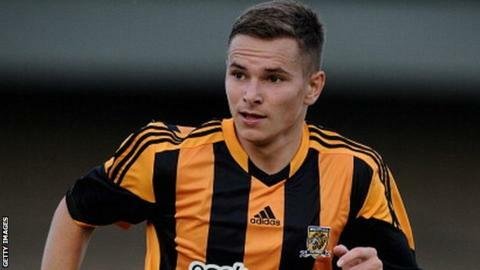 Robertson, 21, signed a three-year deal at Hull City just one season after leaving amateurs Queen's Park.